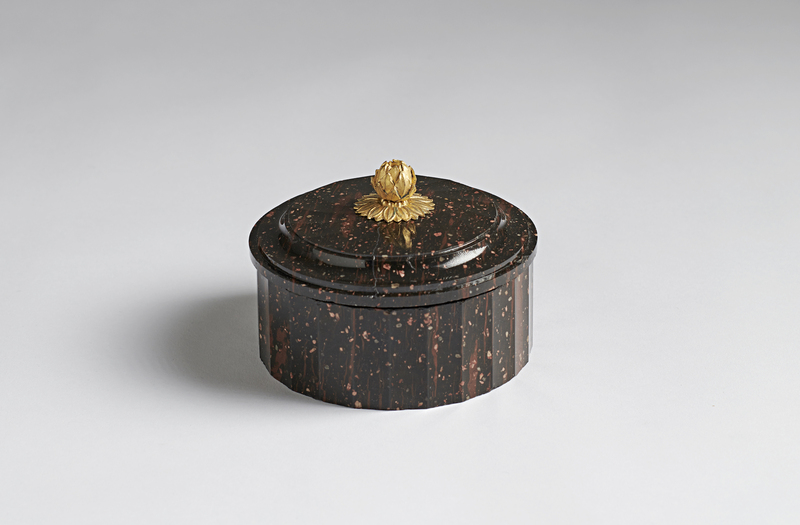 Butter box in Swedish Rännås porphyry early 19th century. 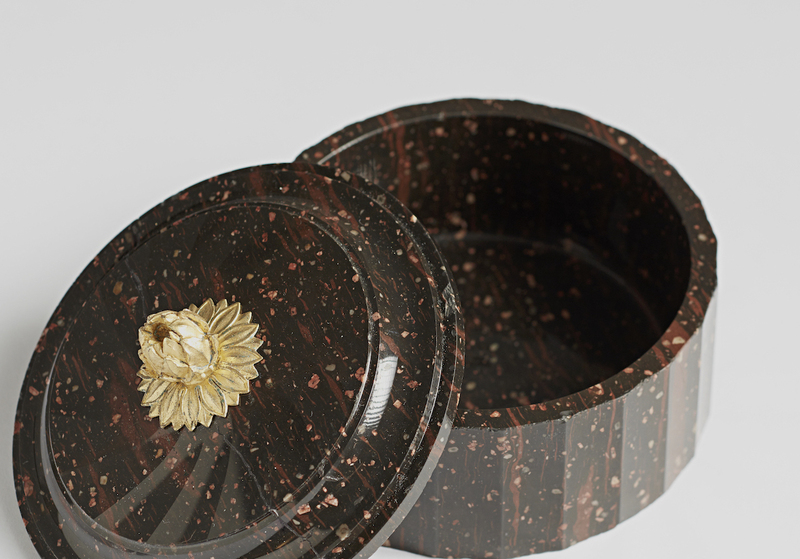 With a circular faceted lid surmounted by a gilt bronze cone finial above a conforming body. Good condition, old restoration to the lid.